With more than 6,500 fully illustrated words and phrases in Korean and English, along with a free bilingual audio app, Korean language learning has never been easier. 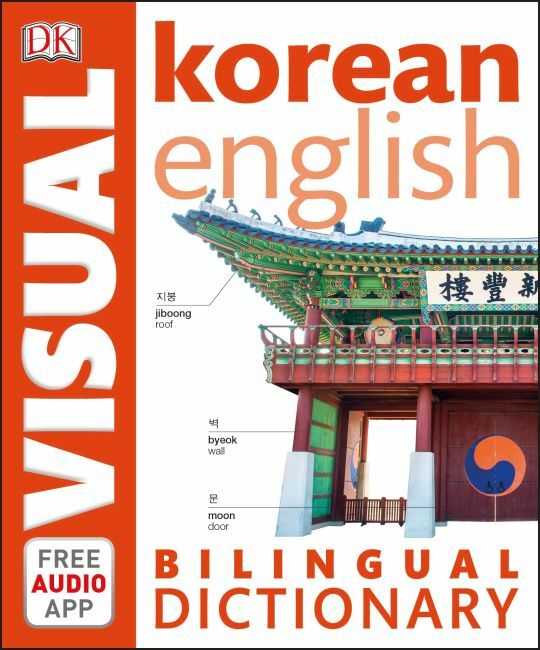 Perfect for tourists and business travelers alike, DK's Korean-English Bilingual Visual Dictionary is your essential companion when buying food, talking about work, discussing health, and studying language. The dictionary is incredibly easy to follow, with thematically organized vocabulary so you can find closely related words on a particular topic. Words and phrases are illustrated with full-color photographs and illustrations, helping to cement new vocabulary in your mind. A comprehensive two-way index provides an instant reference point for new Korean vocabulary. The supporting audio app enables you to hear more than 6,500 words and phrases spoken out loud in both Korean and English. Available on the App Store and Google Play, the audio app is easy to use and provides an intuitive reference for language learning, helping you learn, retain, and pronounce important vocabulary. The dictionary gives a pronunciation guide for every Korean word, and you can use this alongside the app to perfect your pronunciation.